Wedding speakers should learn the traditional order of toasts. 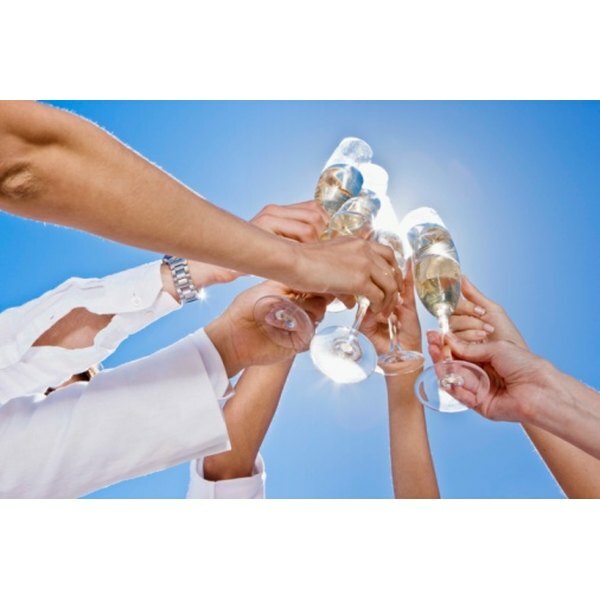 Weddings are festive occasions that usually consist of several toasts and public speeches. Whether you are giving or receiving the toast, it is important that you know the order the toasts will be in. You should also know what the bride or groom expects of you and how to deliver a positive and memorable speech. According to etiquette expert Emily Post, the host is usually the first person to give a toast at a formal event. As such, the first toast is usually from the father of the bride. His speech primarily focuses on the bride. This speech is usually sentimental in nature and will focus on the father letting his daughter go and the fact that she is starting a new family. The groom stands and responds to the father of the bride's toast. The new husband thanks the bride's father, affirms his positive words and conveys his own satisfaction with the union. He may also communicate his own sentiments toward his bride. His response is usually loving and romantic and does not generally mock, roast, or criticize the bride. The best man follows with his toast. He will give a brief speech about the groom and is expected to entertain and amuse the guests. He may recite an anecdote from the groom's childhood or bachelor days. The maid of honor toast follows the best man's toast. She toasts the bride, groom and guests. Her toast is typically lighthearted but cheerful. She may include an anecdote about how the couple met, or how the couple inspires her. The bride may toast at this time if she desires. She will echo the sentiments of the other toasts and thank her guests for coming. She will also thank the hosts of the event if applicable. She may toast her new husband as well and share a personal anecdote or sentiment toward the groom. At this point, other relatives may toast the couple. The groom's parents may toast or the bride's mother may toast. Other members of the bridal party may offer a toast to the couple. 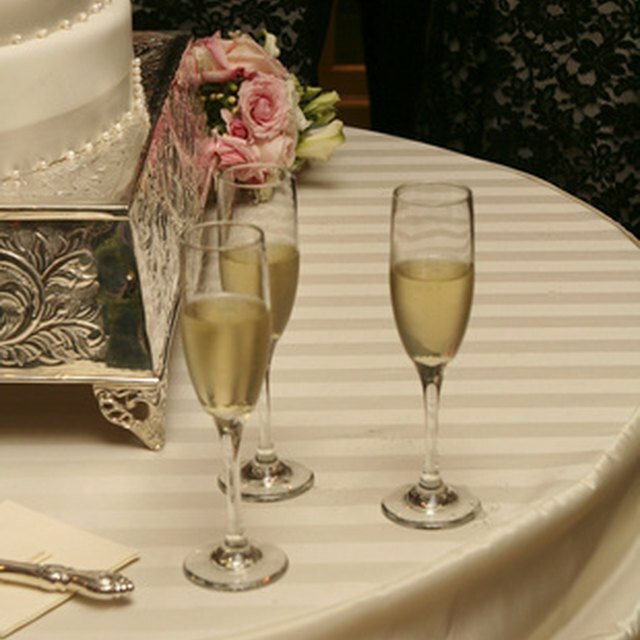 Guests may also decide to toast the couple if time allows. You may decide to arrange the toasts in a different order to fit your time, needs and guests in attendance. Coordinate toasts with your MC or DJ, and let any individuals know when you expect them to give a toast. Prepare a speech before the big day. It should last three minutes or less. Memorize the information and practice it so that it sounds natural. Include a piece of poetry, meaningful song lyrics, or a personal anecdote. Add some humor to the speech, but stay away from off-color jokes or any information that would lead to embarrassment. Speak from the heart so that you sound sincere. When you present the speech, be sure that you speak loudly and clearly and maintain eye contact with the audience.